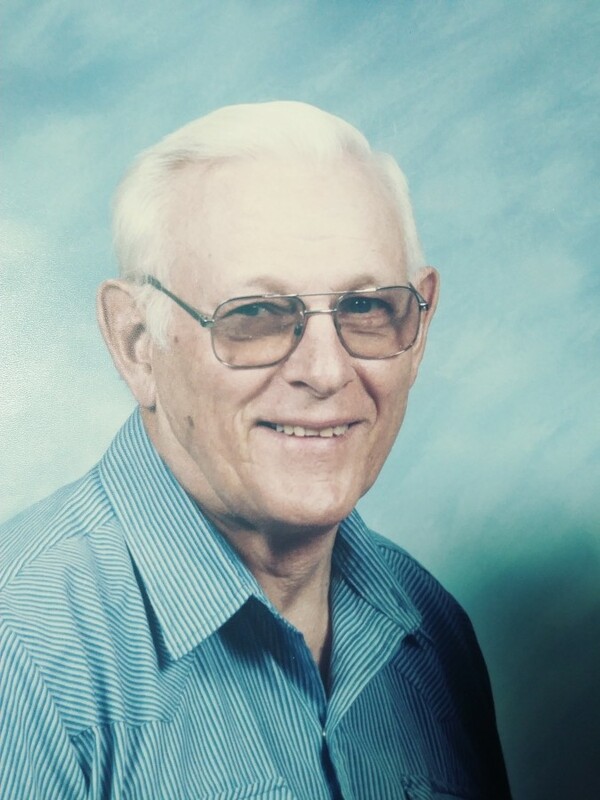 Charles Henry Kerl, 91, formerly of Beatrice, Nebraska was born to Ralph L. and Mina (Cook) Kerl on July 30, 1927 in Nemaha county (Seneca), Kansas. He attended Gravel Hill country school and graduated from Pawnee City High School in 1944. On February 22, 1949, Henry was united in marriage to Clarissa Marie Cameron at the Mission Creek Presbyterian Church. To this union four children were born. Henry and Marie lived in Beatrice most of their married life where they raised their family. He was a farmer, welder, and for 25 years a police officer for the city of Beatrice. Henry was a good provider and loving father to his daughter and three sons. Henry was active in the First Presbyterian Church of Beatrice for over 40 years including service on the Presbyterian Session. He enjoyed playing fast pitch softball and stayed very active as a volunteer for several community causes including helping establish the Beatrice Senior Citizens Center. Henry was a loyal and devoted son, brother, husband and partner in marriage, father, grandfather and great-grandfather. Henry passed away on Thursday, August 23, 2018, at the Colonial Acres Nursing Home in Humboldt, Nebraska having reached the earthly age of ninety-one years and twenty-four days. He was preceded in death by his wife, Marie; daughter, Nancy (Kerl) Howell and husband Harris; brothers Claude, Loren, Lee Kerl, sisters Luella Fankhauser and Thelma Kirk, and brother-in-law J.D. Cameron. Henry is survived by his sons, Jerry Kerl and wife Ann of Florida, Tim Kerl and partner Angela Walswick of Minnesota and Brian Kerl of Omaha, seven grandchildren, nine great-grandchildren, brother-in-law Larry Cameron and wife Sharon of Summerfield, KS; sister-in-law Jackie Cameron of Summerfield, KS; and many nieces, nephews, relatives and friends. Memorial Services will be held at 10:30 a.m. on Tuesday, September 4, 2018, at the Mission Creek Presbyterian Church in rural Liberty, Nebraska with Pastor Jim McNeal officiating. Visitation will be from 1-8 p.m. on Monday, September 3, 2018 at the Harman-Wright Mortuary, 623 Elk ST. in Beatrice, Nebraska. Family will greet friends from 5-7 p.m. at the mortuary. Inurnment will be at the Mission Creek Cemetery in rural Liberty, Nebraska. Memorial contributions may be given to the Beatrice Senior Center or the Mission Creek Cemetery Fund.